The Governor's Highway Safety Office (GHSO) is Tennessee's advocate for highway safety. This office works with law enforcement officials, judicial personnel and community advocates to coordinate activities and initiatives relating to the human behavioral aspects of highway safety. Its mission is to develop, execute, and evaluate programs to reduce the number of fatalities, injuries and related economic losses resulting from traffic crashes on our roadways. The office works with the National Highway Traffic Safety Administration to implement programs focusing on occupant protection, impaired driving, speed enforcement, truck and school bus safety, pedestrian and bicycle safety and crash data collection and analysis. Programs administered by GHSO are 100% federally funded. The Governor’s Highway Safety Office (GHSO), the Tennessee Association of Chiefs of Police (TACP), and the Tennessee Sheriffs’ Association (TSA) have joined forces to strengthen and support traffic enforcement nationwide by providing the Law Enforcement Challenge program, an innovative program designed to stimulate traffic law enforcement activities. The program targets three major traffic safety priorities: occupant protection, impaired driving, and speeding. 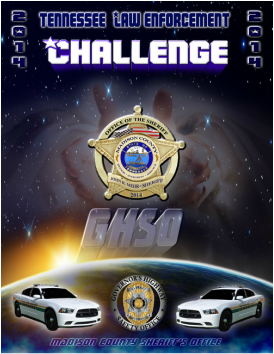 The Law Enforcement Challenge provides law enforcement agencies with an opportunity to make a significant difference in the communities they serve. The program format allows for agencies to learn from one another and establish goals in traffic safety enforcement and education. Ultimately, the Law Enforcement Challenge is about saving lives and reducing injuries.